Okay first off, apologies if this is the wrong section, or if this problem has been brought up a billion times before. 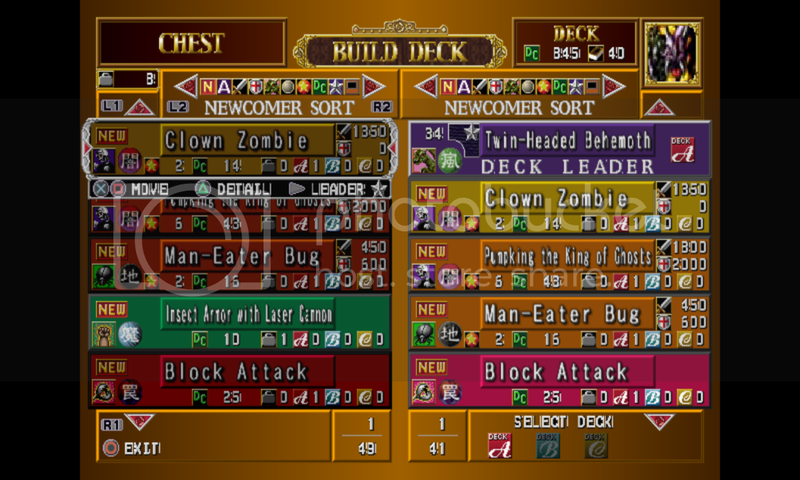 I know the one about the red screen when selecting your Deck-leader has, but luckily I managed to resolve that one. Anyway, the problem I am having with this game at the moment is actually two different ones. 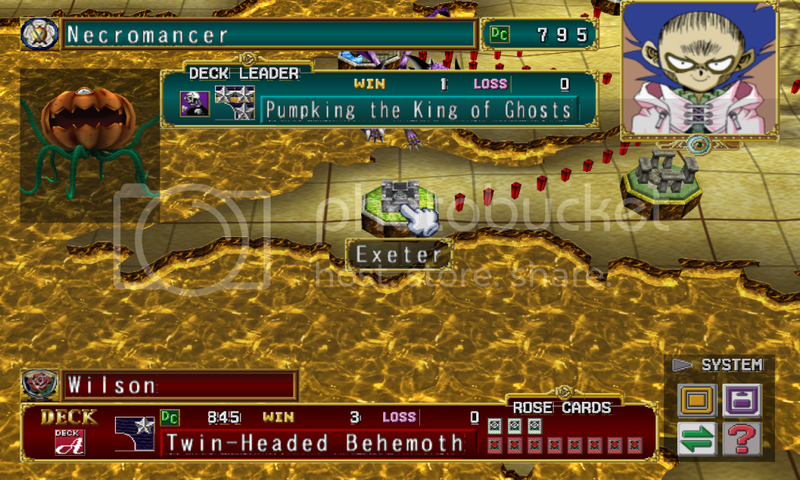 Firstly, a number of things, particularly the game text, are very pixelly and there are odd lines beneath everything. I know this can be fixed, as I had managed to do so before, but I have completely forgotten the setting(s) that did it, and experimenting has so far yielded nothing. 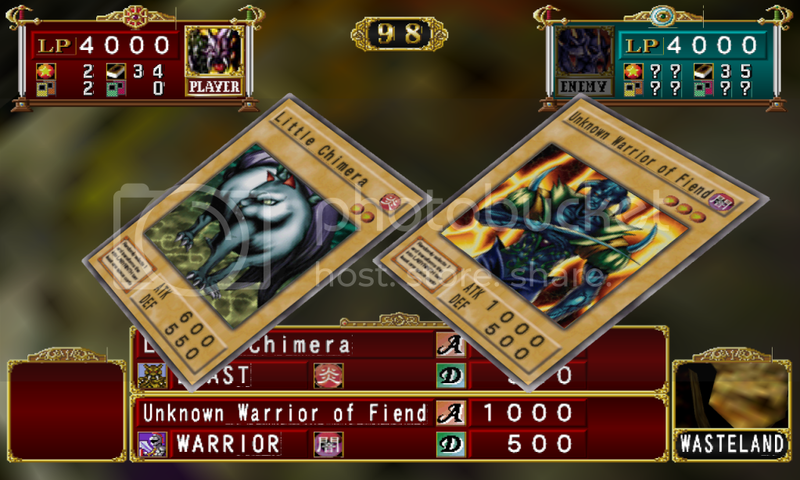 Second, when I have one card move over another, or one of mine attacks or is attacked by an enemy card, the screen becomes rather slanted and generally messed up. I could never solve this one. Again, sorry if this is a repetitive complaint, I'm just hoping someone has experienced this before and knows a fix for them. P.S. I probably should've added my PC specs before posting. I'm adding them now. Are you upscaling the graphics? That looks like a common side-effect from it. Does it happen when @ native internal resolution? Are the cards supposed to be up-right? I was originally at x3 Native if that's what you mean. Setting it to Native successfully removed the lines, but the numbers and words seem to replicating themselves behind(they were there before I switched to Native, just noticing them now). I'm not familiar with SVN(you can tell how experienced I am with this stuff). Is that a variant of PCSX2? Skip to 7:10 and you can see an example. And not familiar with clamping either, sorry. Really out of my comfort zone here. Those are official releases of the PCSX2 program as it gets developed. They include the most recent changes to the emulator since the last stable release (0.9.8 r4600). I see what you mean about the text. Some slight glitches are unavoidable, though. You could maybe try the Half-pixel Offset hack in the GS plugin settings. You need to enable hacks, then go select it. Maybe try different filtering, if that doesn't work. That is a checkbox in the GS plugin settings. You'll notice it has three different settings. Also-- You could try with a Software renderer. Toggle to this while playing with F9. Clamping options are in the Emulation Settings. There is clamping for both EE/IOP and VU units. Try testing with one, or the other. See if any of the few different settings straightens the cards out. I'll suggest trying "None", or "Extra + Preserve Sign".